What happens when you mix twenty-five startup founders, creators and business leaders with the most transformational psychedelic on the planet? But something kept calling us, telling us this was a good idea. Still, it was not an easy decision. I documented our initial struggle in launching the first 1heart Journey in an earlier post. Hosting 25 powerful leaders during potentially the most transformational week of their lives weighed heavily on us. We knew those attending would be forever changed. We knew that transformation trickles infinitely outward: the lives of those they touched would likely change as well. My personal experience with ayahuasca began over three years ago. I documented my initial journeys in my first post here. I’ve since done a couple dozen ceremonies. For me, Ayahuasca has been the single greatest tool on my personal growth path. This sacred plant medicine has enabled me to crack my heart wide open. It has allowed me to redefine success in a way that doesn’t require me to work 60+ hours a week or build a “unicorn” tech company to feel successful. It’s helped me connect to my purpose and find deeper meaning in my life. When we sent out the first invites to our vast network of startup founders, innovators and business leaders, we didn’t know what to expect. The initial response was slow. But shortly after, many leaders started to reach out. We could tell that we had piqued a lot of curiosity. Not everyone was ready to be part of the inaugural journey, but it was clear that we had struck a chord. We selected 25 leaders to join us on the debut journey, and the group could not have been more perfect. It was a unique cross section of leaders from various disciplines and locations, of diverse ages and ethnicities. The group included an acclaimed director, many tech founders, and several former-entrepreneurs who had exited businesses and were now searching for what’s next. We hosted physicians running private clinics, a managing partner at a VC, blockchain/crypto investors, and clean tech entrepreneurs. As a “recovering Type-A” myself and founder of multiple companies in New York previously, I recognized it all: They were attempting to figure it all out in their heads. But the answers lie beyond our traditional thought patterns. Transformation is outside of that box! As business leaders, we can convince ourselves or anyone of nearly anything. The stronger the mind, often the more convinced it can become of itself. But this is all information and logic based, and our own interpretations. This will not get you any closer to your true purpose, to your truth or to your connection to everything in the universe. If intellectual horsepower could get you there, this group would already be smiling Buddhas on top of a mountain. There is a far greater knowing, an Absolute Knowing, an alignment and intuition that lives in our heart. For me, and others with strong analytical minds, plant medicine is perhaps the most powerful tool to break through our limited ways of thinking. As I heard all the questions, I smiled. I knew that by the end of the week, they themselves would know the answers. They would know in their hearts, direct from a Source they could not question. Most of us go through our lives putting up some sort of front. We want to control how others view us. We want to look good at all times. For leaders, this is even more pronounced. We have employees, partners, investors and others looking up to us. We believe that we have to have it all figured out. Startup founders can often be overheard saying they are “crushing it,” while in reality, they feel like they are getting crushed daily. There are few situations that can transport leaders outside of their well established persona. Ayahuasca is fortunately one of them. 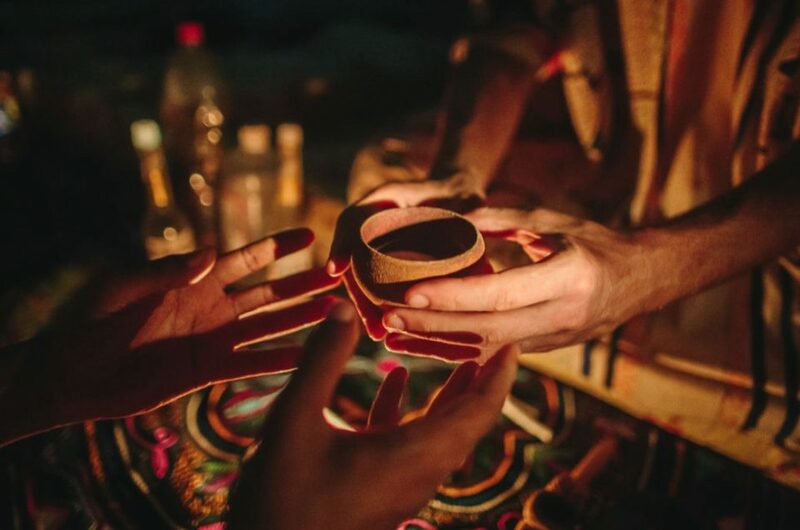 Ayahuasca has a way of humbling just about anyone. It is known to strip away ego, allowing a direct connection to our soul. Our souls have no motivation to be anything other than what they are. And what they are is already whole, perfect and complete. It’s our ego that convinces us otherwise. My business partner and best friend, Barry and I were struck by how close our initial group became. Seeing such powerful, proud leaders get vulnerable with each other and share their true selves was beautiful to watch. No one held back, and as a result, they received support and connection that floored just about all of them. Now, a few months later, the 1heart Tribe remains close. The group has already self-organized several reunions. There is daily activity on our What’s App group, and this serves its members as a strong support system for each other as they pursue their true paths. It is probably pretty obvious that deeper connections lead to more collaboration. What is interesting here is how quickly that collaboration was accelerated and what that might mean for our collective future. 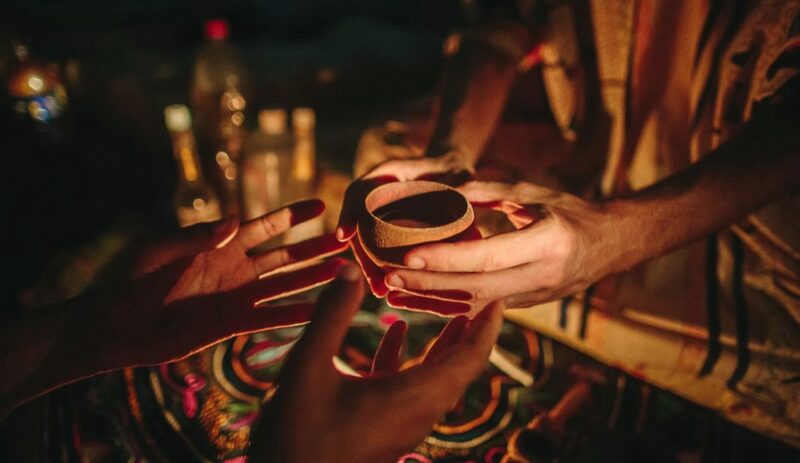 Perhaps the most common realization from ayahuasca, as well as other deeply transformative experiences, is that we are all one. Nearly everyone who has sat in an ayahuasca ceremony comes away with this same truth. It’s why we we named our company 1heart. Barry and I started 1heart with the mission to foster a new generation of companies and leaders who create from their heart, aligned to their purpose, collectively elevating the consciousness of the planet as one tribe. We believe that a major shift from competition to collaboration is beginning. By bringing together diverse leaders for transformational journeys, we are already seeing this accelerated. We’ve received support from many of our initial tribe for 1heart. We have also seen it across each others’ businesses and lives. 1heart Journey members have co-invested in deals, shared leads, lent their expertise and shared helpful content and advice. One of our trip members who is an acclaimed director behind many of Apple’s commercials created this beautiful anthem video for us. The future is fully collaborative. The more leaders who understand that their gifts are humanity’s gifts, the more quickly we will realize that future. After witnessing all the profound changes from our first 1heart Journey, Barry and I committed to doing at least four more over the next year. We’ve manifested the most gorgeous place we’ve seen in Costa Rica with a partner fully aligned to our mission. Those interested can apply at1heartjourneys.com. The privilege of bringing 25 powerful leaders and amazing humans on the first 1heart Journey is something I will never forget or take for granted. I’ve built several businesses, had big financial successes but nothing has ever made me feel more successful or fulfilled. I feel blessed to witness people wake up and connect with their heart and others in ways they never imagined possible. Knowing these are leaders who will effect thousands, if not millions of other lives, reinforces that I am on the right path. In Michael Pollan’s new book How to Change Your Mind, he provides a detailed argument on the power of psychedelics to change our world in many positive ways. Pollan mentions how Abraham Maslow, who wrote the famous Maslow Hierarchy of Human Needs often underscored the importance of “Peak Experiences” in self-actualization. We started 1heart Journeys as we believe peak experiences are critical to our evolution and our life fulfillment. As more and more leaders begin to self-actualize, the companies they build, lives they live and employees they hire will be forever changed.